What will it be: a fisherman’s cottage overlooking the Atlantic Ocean, a Georgian terraced house in Dublin with a colourful door? Maybe a castle to call home, surrounded by rolling green hills? Ireland has plenty of housing options and architectural styles to choose from. Prices in Dublin are now up 87% on where they were in 2013, and in the rest of Ireland up 62%. The latest data from Ireland’s Central Statistics Office (CSO) shows Irish property prices rising at 12% in the year to October. Although this might bring back memories of the property bubble that developed during the “Celtic Tiger” years from the late 1990s to 2007, we are still not up to that price level in most of Ireland, so there is a long way for prices to rise. Prices peaked in 2006, but when the bubble burst after the banking crisis they fell consistently for years, ending in prices for Dublin apartments down by 62%. Since 2013 growth has been consistent. Prices in Dublin are now up 87% on where they were in 2013, and in the rest of Ireland up 62%. Prices remain, on the whole, below the price of property in the UK and there are still bargains to be found if you know where to look. That is especially true for overseas buyers who may not have the same requirements as local people. Relatively few holiday-home buyers need a school or good work opportunities, for example. If you are looking to buy before prices go out of reach, or to take advantage of your EU citizenship before the UK leaves, here are a few housing options. In Dublin, fashionable areas for young professionals, singles and couples including Phibsborough, Drumcondra, Stoneybatter, Sundrum, Ranelagh, Rathgar and Ringsend. For a city centre apartment in Dublin, rent will set you back a minimum of €1,600 (£1,400) per month for a two-bedroom apartment and you won’t be able to buy a two bed for less than €350,000 (£310,000). Prices in the capital are expected to reach pre-crash highs within the next year, driven up by lack of housing supply and unprecedented and growing demand. Currently the average cost of a typical Dublin three-bedroom semi-detached property is €518,000 – this is more than double the national average, which stands around €254,000. Rising prices have had a knock-on effect on the cost of property in neighbouring counties Wicklow, Kildare and Meath, which are popular choices for those needing to commute. The average price of a three-bedroom semi in Wicklow is €275,600, Meath €239,000 and Kildare €235,000. 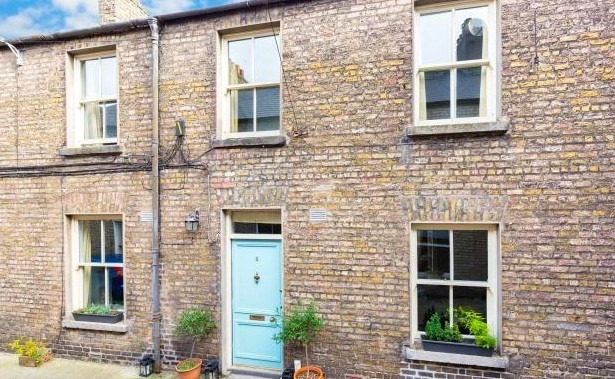 If you’re set on Dublin, have the budget and are moving as a couple or a young family, this two-bed, beautifully presented terrace house in Dublin 2 is a great option and is on the market for €645,000. 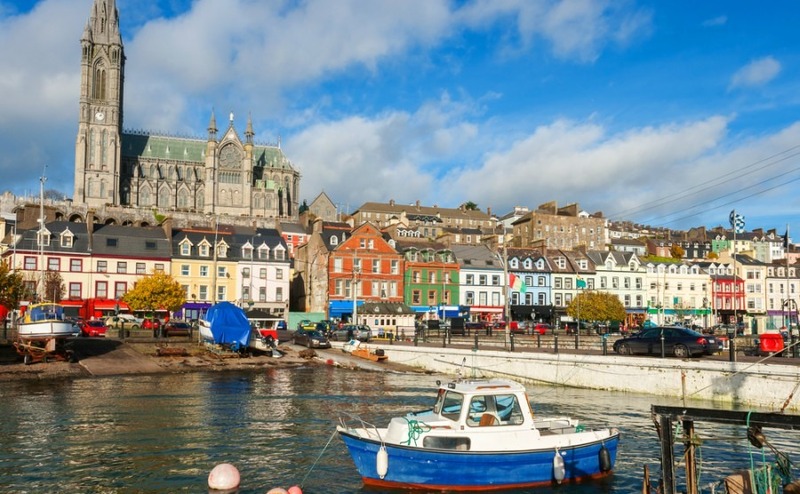 Cork is another fantastic spot popular with expats of all ages. Cork City is very small, which makes it nice and easy to get around town. Popular areas include the Victorian Quarter, The Huguenot Quarter, The Oliver Plunkett Street area and Shandon. 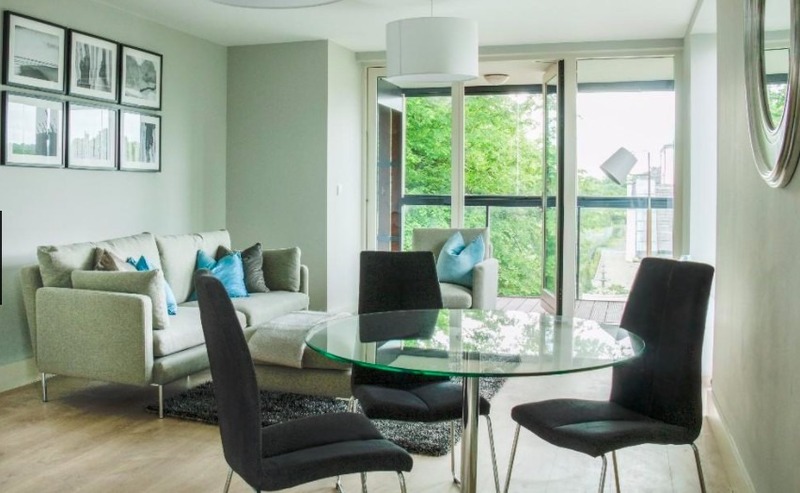 This modern, two-bedroom apartment in Cork city centre is on the market for €240,000. If you’re considering Limerick, a two-bed flat is likely to cost you in the region of €300,000. A family home in the area presents excellent value, especially when you compare it to the cost of housing in Dublin. 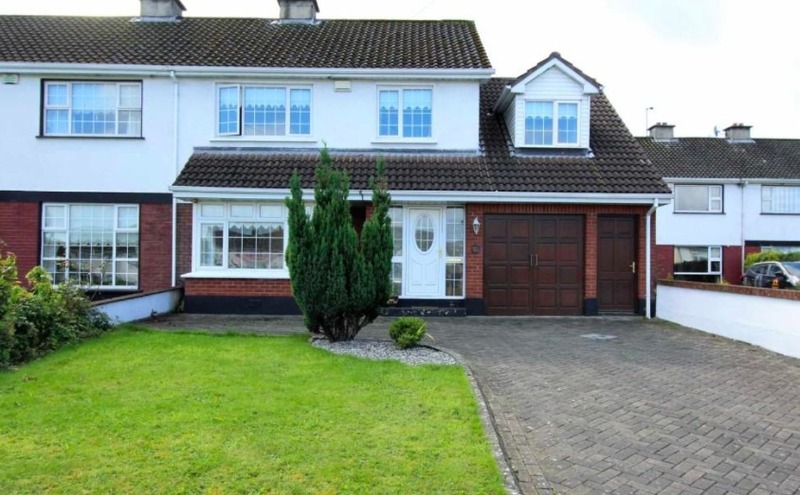 This spacious five-bed, semi-detached property is on the market for just €230,000. If you want to live in close proximity to a cool city, but you’re in the market for finding the biggest bargain you can, Sligo is on the up and up. 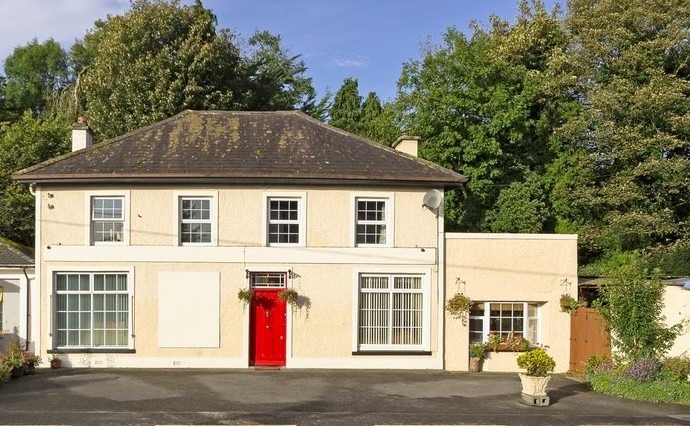 This six-bedroom, three-bathroom detached house is full of character and is on the market for just €215,000. For two years in a row, Ireland has topped the EU buy-to-let league table. It has the highest rental yield (7%) in Europe, followed by Malta, Portugal, The Netherlands and Slovakia. The UK is in 25th place! Currently, the average rent for a one bedroom apartment in an Irish city is £12,000 per year – a savvy investment indeed. While Cork, Galway and Limerick are all excellent options for buy-to-let investors, Dublin 1 is the best place in the country – a one-bedroom apartment purchased for around €200,000 can rent for €1,380 per month, earning owners a gross yield of 9.35%. Further out of the business area, in Dublin 7, you can buy a one-bedroom apartment for around €180,000, charge rent of €1,300 a month and earn a gross yield of 8.7%. There are some incredible bargains to be found in the Irish countryside. Property in Longford is the cheapest at an average of €117,000 (£102,044), followed by Leitrim, Sligo, Roscommon and Mayo where values are €140,000 (£123,200) or less. Out in the countryside you’ll find bungalows, cottages and farmhouses are the most popular types of property. Farmhouses are the largest and often come with land to use for livestock, keeping horses or just for enjoying on warmer days! For a real bargain, this 18th century seven-bedroom residence has huge potential, is set in two acres of mature gardens and is a steal for just £220,600. If it’s isolation you crave, you could move to this four-bedroom detached cottage in Connemara, County Galway. The rugged property has been painstakingly restored in the whitewashed cottage style of the area and is on the market for just €250,000 (£220,120). The most expensive property market in Ireland is Sandycove in Dublin where the average property value is just under €790,000 (£695,140). Foxrock and Mount Merrion, also in County Dublin, come in second and third most expensive at an average of €750,000 (£660,030). 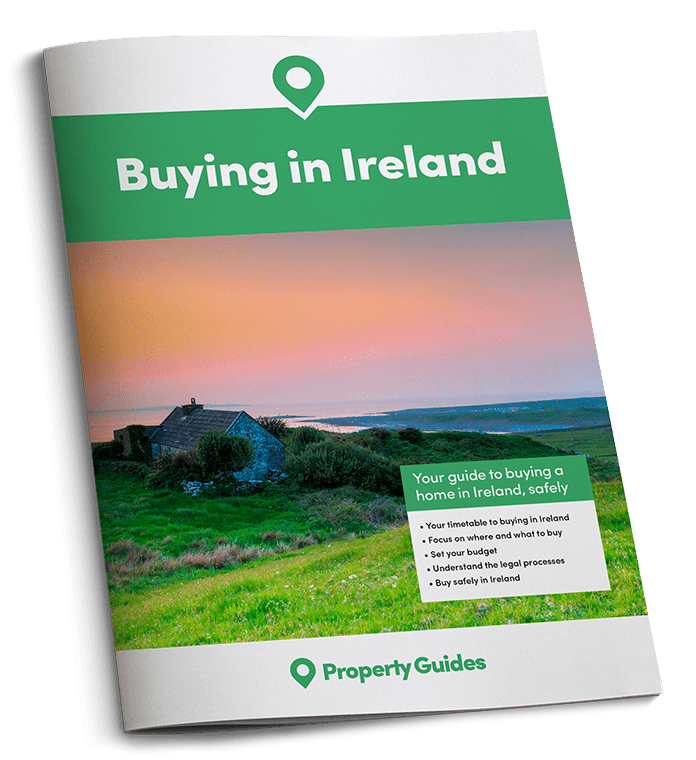 Outside of Dublin, the most expensive spots are Enniskerry in County Wicklow, where property averages €495,000 (£435,570), Kinsale in County Cork, where the average is €309,000 (£272,000) and Kinvara in Galway at €257,000 (£226,144). As you can see, the prices drop considerably outside of County Dublin. The values in pounds we show here are based on the interbank rate at the time of going to press. This is not available to the general public, but click here for a free, no-obligation quote from Smart Currency Exchange and a friendly chat about exchange rates in general. You could also Read Smart’s Property Buyer’s Guide to Currency, packed with insider tips. You don’t have to spend a fortune to live like a King or Queen though. If you’re happy to look outside of these pricey regions, there are some real bargains to be found for those dreaming of stately living. 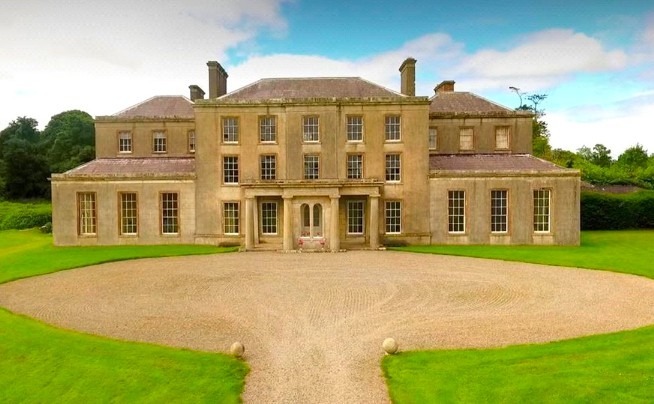 This three-storey classical Georgian residence in County Kilkenny is set in 79 acres, only 20 minutes’ drive from Kilkenny town and an hour and a half from Dublin. 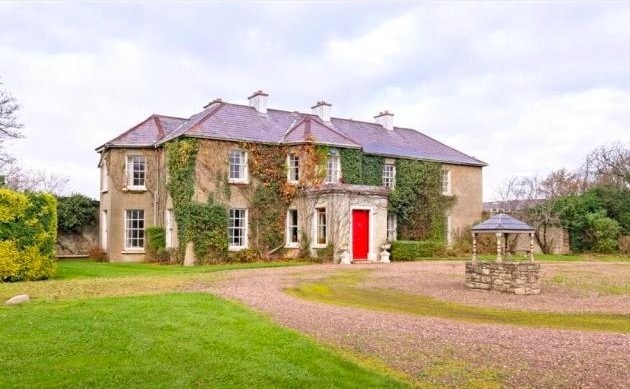 While it could do with a little renovation, the eight-bedroom property has a number of reception rooms, real fireplaces in each room and is a complete bargain at €1,495,000. Ireland has a fascinating history, and there are wonderful reminders of that dotted about everywhere – some you can even live in! You’ll find converted schoolhouses, railway stations, barns, mills, churches, even castles! Some will have already been restored, others might require you to roll up those sleeves, don your hard hat, and come to the property’s rescue. 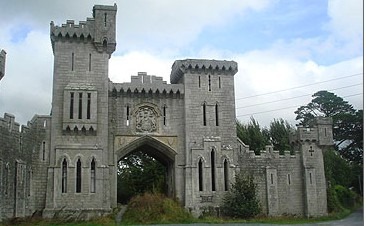 This property in County Carlow used to be the gate lodge for a private estate. While in need of work, the gate house is located on two private acres and is on the market for €380,000.